Find your favourite radio from a list of the 2 000 Internet radio stations worldwide. 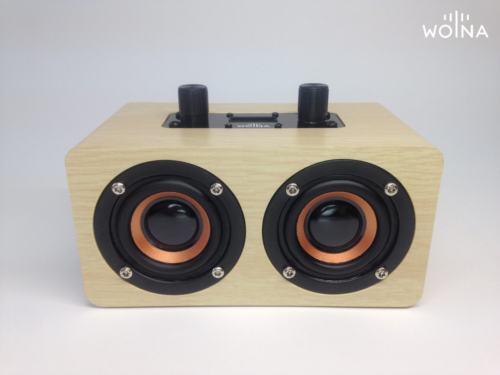 - Enjoy stereo sound: wooden case, 2x5 Watt speakers, of 16 Hz to 40 000 Hz. - Choose the simplest way of listening to radio: portable receiver with 2 knobs only. Hear the world You can choose any radio stations around the world. WOLNA allows to search by country, genre and your favorites. Sounds excellent 2x5 Watt speakers and wooden case are for strong and clear sound which comparable to good audio systems Portable and convenient A light-weight case and a build-in battery allow you to listen your favourite music any place. You don't have to be permanently plugg in It's simple Wolna is easy to use. You just turn on the receiver and rotate the 2 knobs: "Volume" and "Station switch" WOLNA is a new family-brand. Internet Radio Receivers are manufactured in limited quantities by manual work. And then they are sent to all over of the world from Russia by airmail. With WOLNA Internet Radio you can get all stations you want: listen thousands of radio stations using a Wi-Fi connection. Wooden case and 2 stereo speakers provide an excellent quality sound. It is portable and easy to use: 2 knobs only. Control by smartphone is available. 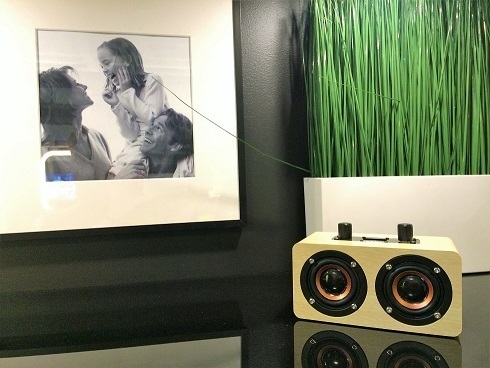 Our mission is to provide high quality and well priced radio in every home!